A personal loan has become one of the most sought-after loans for those who are in need of immediate funds. The best part about the personal loan is that the loan amount can be used for myriads of purposes like holidays, home renovation, construction, vacations, weddings, emergency medical expenses, etc. which is not the case with the mortgage loan, car loan, home loan or any other type of loan. When it comes to personal loan approval, then one need to qualify the parameters set by the banks and financial institutions. A credit score is one such qualifying parameter. It is essential that the applicant must have a good credit score to qualify for the personal loan. However, some of the financial institutions might consider your request for a personal loan despite having a low credit score. Well, if you are applying for the personal loan, then you must get a copy of your credit report and credit score. The bank considers the document before they approve your application for the personal loan. Many online agencies will help you get the report and credit score. This report will showcase the problem areas you must run through and improve the score. For example, you can do so by paying bills on time, reducing the on-going debts or loans. 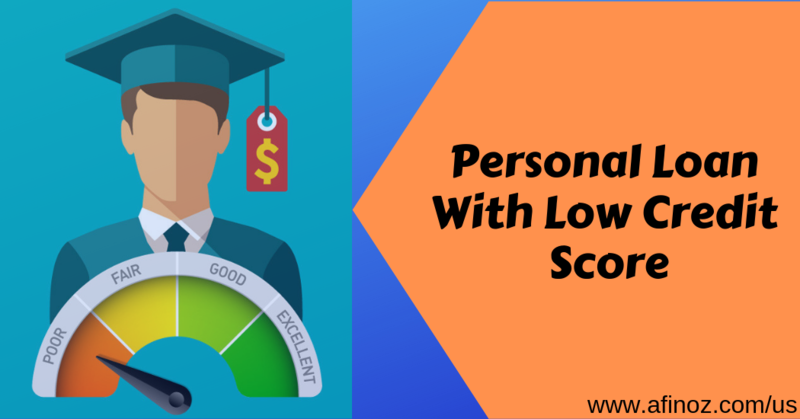 The first thing that happens when you have a low credit score is that you don’t get the loan approved, but at the same time there are financial institutions that might approve your loan application with a higher interest rate. People with low credit score may have their chance to get the personal loan approved by online vendors. These agencies give the loan to people with low credit score. Lending Club and Avant are two such agencies. For example, Lending Club, one of the leading loan providers, may approve the personal loan application but the interest rate will be as high as 35% approximately. With a low credit score, hunting a personal loan provider can be a daunting task. While most of the people run to the online vendors and pay hefty interest, you might want to try your hands on with banks as well. Some of the banks may convert your personal loan to secured loan by keeping your property papers as security. All you need to do is shortlist the banks that might consider your request and it is advisable to go for unsecured personal loan. Based on these behaviors you decide your financial health and they may approve your request for the personal loan. Click here to check personal loan eligibility.